The technology that defines outside stereo receivers has advanced and transformed the outdoor entertainment environment. As a result, firms have released many brands of outdoor stereo receivers in the market. You should spend your money on the ones that you find appealing. If you’re looking to get value for your money, you’ll want to buy the best stereo system in the market. Based on various aspects like performance, design, and specific features, we have compiled a list of the best outdoor receivers. If you’re looking to set the mood right in your backyard, you might want to read on and find out which of the 6 best outdoor stereo systems in the market are worth your money. This list will help you narrow down your choices. Yamaha stereo system comes with a 7.2 channel surround sound system that is equipped with both Bluetooth and Wi-Fi capabilities. It is also compatible with AV systems. If you want to have a stylish receiver, go for the Yamaha 7.2 Channel Network AV with Airplay. Purchasing it comes with a mobile Yamaha AV Controller App that allows you to control the receiver’s sound setting, volume, and power among other features. With this system, you don’t have to run to the receiver every time you want to adjust the volume or sound settings. This receiver is also great with video capacity. It is fitted with HDMI ports that are ready for Ultra HD pass-through or 4K. It also has the capability to upscale or convert non-4K signals for transmission to 4K tvs. Like Yamaha, Sony 7.2 Channel Network AV Receiver comes with built-in Wi-Fi and Bluetooth. 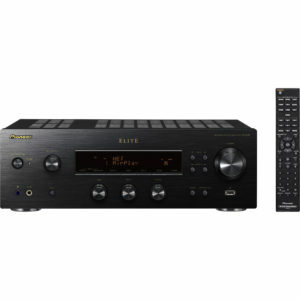 The 7.2 channel system enables this receiver to transmit high definition sounds while the Wi-Fi connectivity allows it to have access to streaming services from the internet. Courtesy of the Bluetooth technology, you won’t have any issues with streaming music from your tablet or smartphone anymore. Moreover, it comes with 8 HDMI ports, implying that your home theaters will combine to make a great sound system. Whenever people discuss anything concerning media tech, Sony must be mentioned in the quality products category because the quality is a surety that comes with it. To acquire this system you must be willing to part with a substantial amount because its price tag isn’t nice. 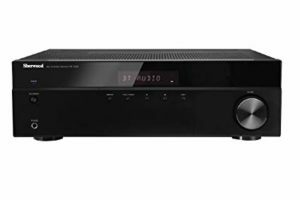 Onkyo wireless receiver is a 7.2 Channel Dolby Atmos Ready Network AV receiver that comes with inbuilt Bluetooth and Wi-Fi. With its 7.2 channel, you’ll be sure to enjoy high-quality sound. 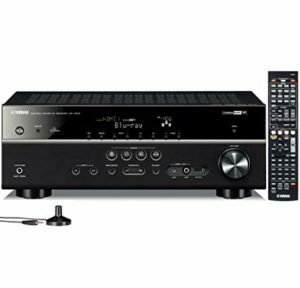 It also features an Ultra HD or 4K pass-through with an upscale capability that makes it an excellent receiver for any high-end home theatre system. 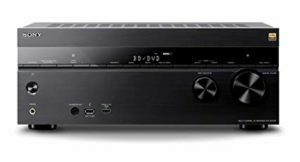 The Dolby TrueHD and DSD features ensure that the receiver has minimum quality loss as well as no distortion of sound during play. The built-in Wi-Fi provides you with a variety of selection over internet radio streaming services for maximum outdoor music experience. With its high-end features, this system’s high price is justifiable. 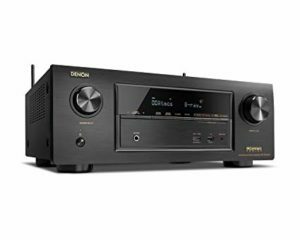 If you want a stereo system that comes with a maximum power of 165 watts per channel, then Denon 7.2 Channel stereo system is what you should be looking to acquire. It comes with a 4K or Ultra HD A/V pass-through. The 6 HDMI input ports are fully compatible with 3D as well as 4K Ultra HD. The receiver also comes with built-in Wi-Fi and Bluetooth which gives you the ability to stream from most of the streaming devices such as android push playback, Apple devices, amongst others. The Denon outdoor stereo system is an all-around receiver that is also easy to use. It’s also simple to set up and the controls are up-front. 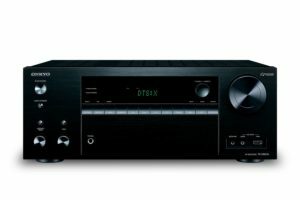 If you are operating on a tight budget, but you want something with high-end features and performance, this receiver could be your best bet. This is because it is relatively affordable compared to other outdoor stereo systems. You’ll also enjoy superior outdoor entertainment by acquiring Sherwood outdoor stereo system. Besides its affordable price tag, this stereo also comes with high-end features that make it a valuable component for your outdoor entertainment. It comes fitted with an outdoor stereo receiver Bluetooth technology that is compatible with most devices in the market today. This gives you the opportunity to stream your favorite music from your smartphone any time you feel like it. It also comes with a compact block design and everything it needs to produce a high-quality sound that blends perfectly with its appearance. With 1000-watts high power output! Who needs to add more wattage? you can be sure that this stereo will produce the quality of sound that gets you on your feet every time your song plays. Other magnificent features that come with this stereo include a digital encoder volume control, a system illumination control, and headphones. These features will take your outdoor entertainment to a new level. If you want versatility from a stereo system, Pioneer Elite SX-N30 is what you should be looking for in the market. With its inbuilt Bluetooth and Wi-Fi, it opens you up to a variety of network sources for wireless streaming. It also comes equipped with top-notch inputs that result in a good sound quality output. Spotify integration, ControlApp, and AM/FM Tuner are some of the features making this one of the best outdoor stereo receivers. This stereo system comes with both analog and digital input signals. This enables you to play media from a wide variety of external devices like NTFS or FAT3 formats. You don’t have to look elsewhere if you yearn for a naturally warm and high-quality sound. 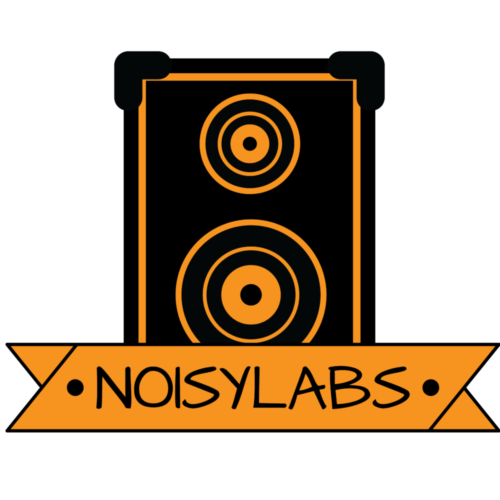 The bass sound will soothe you with its smooth sounding midrange stereo speaker. This brings out the clarity you always want while enjoying music. The above products are some of the best outdoor stereo receivers that you will find in the market today. As you can see, most of them come with advanced outdoor stereo receivers. Bluetooth and Wi-Fi technologies make them versatile when sourcing music from other compatible devices. Undoubtedly, you will find many other models and brands out there. The secret to finding the best outdoor stereo system is going for one that best suits your outdoor entertainment needs. Also, we all know it has to stay within the budget so we don’t blame you if you can’t purchase anything.